People describe us based on our general appearance. This applies to our dressing code and hair style. People have different lengths and types of hair. These two factors limit people the hair style to acquire. Haircuts suit different events. There are those suitable for official events, whereas others are suited for casual events. Any selected haircut influences the general appearance of a person. Therefore, this process should be carefully considered. Below are a few things worth considering before choosing a particular taper fade haircut. Is the barber familiar with the haircut? – Is your barber well experienced to handle your selected taper fade haircut? Always choose a barber who has previously handled your selected hairstyle. Some haircuts require special equipment. It is crucial to inquire if your barber has the right equipment to get the job done or not. There are numerous taper fade haircuts out there. Below are some top haircuts worth checking out. This hairstyle is suitable for anyone who has beards and Fringe hair. As the name suggests, taper fade with short Fringe shapes the fringe hair and makes it neat and evenly distributed across the forehead. Consequently, this haircut gives medium fade style from the top downwards. The taper fade with short fringe is worth checking out as it allows a person to perfectly display his beards. As the name suggests, this haircut leaves out a significant amount of hair in the middle and slowly fades away. Additionally, it paves way for a cut at the edge of the hair. The Mid fade Comb over haircut is diverse in that there are numerous styles to choose from. This hairstyle suits both casual and official events. These are some of the reasons why this haircut is widely accepted. This was the most popular hairstyle in 2017. It gained widespread acceptance as it suits any type of hair. It is categorized with curly hair spread across the head as it fades downwards. The taper fade with Curly hair is also categorized with beards which increase going down. This haircut is still popular up to date. It is therefore worth trying out. The low taper Fade hairstyle is among the commonly known taper fade haircuts. It is suitable for people with hair that connects with the beard. This hairstyle has two fading levels. The middle of the hair has a lot of hair, which slowly fades to form the last level of fade. The last fade level is proportional to the beard level. This is definitely a style worth checking out. As the name suggests, this is medium fade haircut suitable for people who prefer a lot of hair in the middle of their head. The taper fade comb over haircut allows a person to comb his middle hair in different ways, depending on their preference. It is suitable for people who don’t like beards. Finally, only the middle hair can be combed. The layered taper fade hairstyle is well known among barbers. It is categorized by the middle hair in the head not being shaved. Afterwards, another taper layer is formed. Initially, the hair in the second layers is almost completely shaved. The layered taper fade haircut also is characterized by beards. They are properly designed to bring out an outstanding look. It is definitely worth checking out. Would you like to look stylish yet official? If yes, the taper fade buzz cut is what you need. This taper fade haircut is categorized with systematic fading of hair. It is also categorized with cut around the fringe hair that gives a person a spectacular look. The beards are also well designed and evenly distributed across the chin. This haircut also encourages growth of mustache. The slick taper fade hairstyle is mostly designed for white men. This hairstyle mostly has at least three fading layers, depending on a person’s preference. Additionally, there are numerous fringe hairstyles a person can choose from. 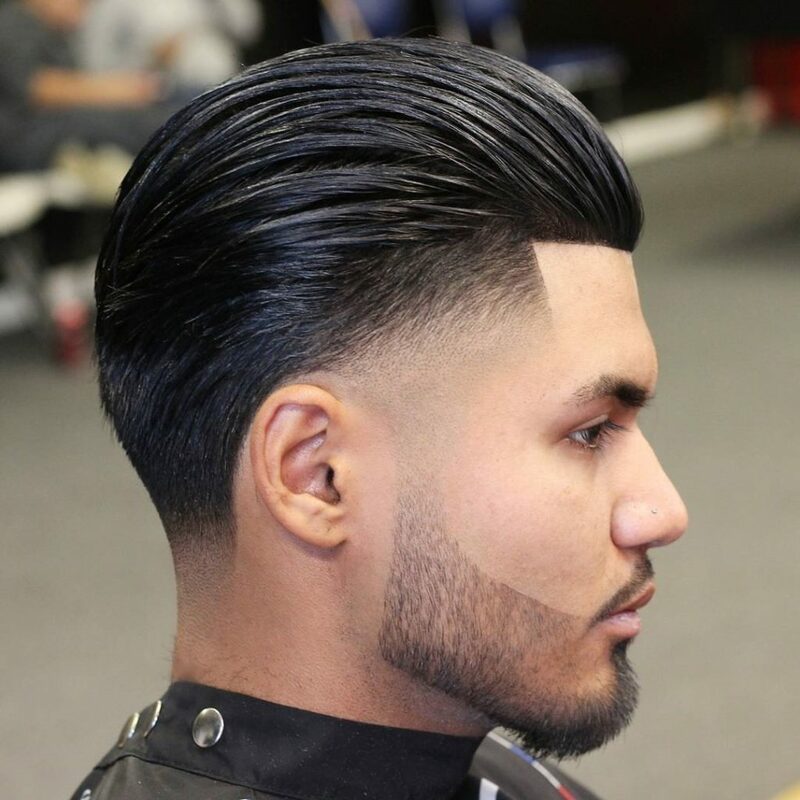 The slick taper fade hairstyle is also linked to a cut that crosses across the middle hair. The middle hair is big enough to be combed into different styles. This haircut is suitable for people with an Afro hairstyle. As the name suggests, the blowout taper fade style entails the use of blowout services on the Afro to give it a curly look. This fading haircut is different in that it fades are only exhibited at the edge of the hairline. The blowout Afro look makes it unique and definitely worth checking out. This is among the commonly known taper fade medium hairstyles. It is categorized with curly middle hair and consists of two fading layers. The middle hair is big and curly. This means that a person can curl his hair to numerous designs. The second taper fading layer sheds almost the entire hair. In addition, the fringe hair is also curly. Are you looking for a short hair official haircut that will incorporate your beards? If yes, the taper fade short hair is want you need. The hair descends in an inclined position until it completely fades away. It also comprises of a haircut at the edge of the hairline. Thereafter, the taper fade short hair style focuses on the beards of a person. The beard extends and connects with the mustache. 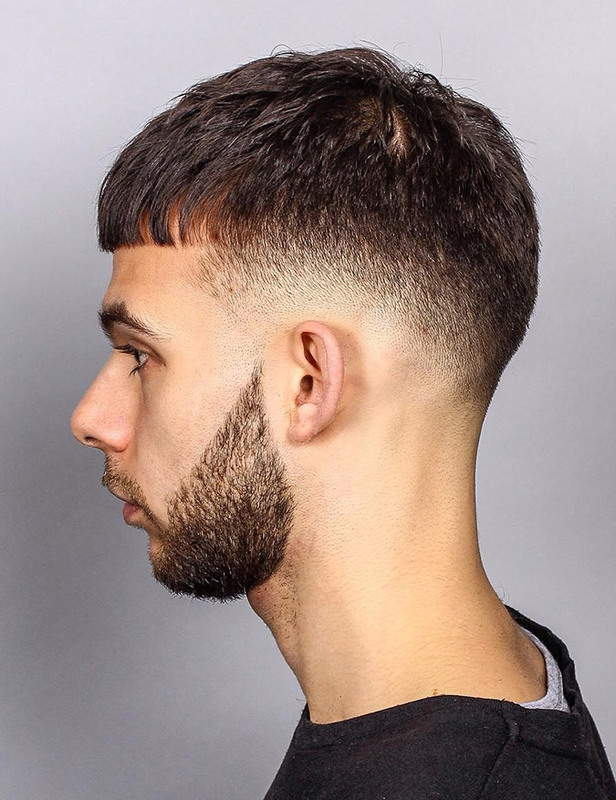 This taper fade hairstyle is very unique and deserves to be ranked among the best haircuts this year. A person must have both big hair and beards. The middle head hair is designed into a descending order from to the bottom. This also applies from the forehead inwards. The hair is reduced to a medium size downwards. Lastly, beards are not connected to the hair. There is no doubt this haircut deserves to be ranked among the best haircuts this year. This is a very popular haircut that comprises of two fading levels. It is also characterized with big beards that are evenly distributed. The long middle hair undergoes blow out to make it curl. This haircut attracts a lot of attention as the low second layer starts increasing when the beard starts descending. That’s not all; the cut extends from the lower second fading layer up to the beards. This is a very simple hairstyle. A significant number of people like bald hair. This haircut remains dominant for a long period as it an official look. This is a short hairstyle where hair is evenly distributed across the hair. That’s not all; the bald taper fade haircut has scoped several awards. It is definitely worth checking out. This taper fade haircut requires a person to have an Afro. This is hairstyle doesn’t entail beards. The hair is evenly distributed most part of the head until a fading layer develops on the side. A hair cut is also emphasized on the forehead and slowly fades sideways. This is a casual hairstyle which aims at bringing out a shaggy look. Some people love trendy haircuts. This haircut is worth checking out if you are one of them. The taper fade with braids incorporates braids in the haircut. It requires a person to have a significant middle hair that can be plaited. Afterwards, the hair is cut short in a descending order in other regions. Lastly, the taper fade with braids also narrates how beards should be evenly trimmed and given a good cut. This is one of the numerous Mohawk hairstyles. However, it is different as the middle hair occupies a large surface area compared to the traditional Mohawk styles. Consequently, it allows fringe hair to be spread in different designs. Generally, the faux hawk taper fade haircut comprises two fade layers. Long hair is a requirement to be eligible for this outstanding haircut. Lastly, this taper fade hairstyle has been ranked among the best haircut styles this year. The temple taper fade haircut can be described as an official middle haircut. A person is required to have an Afro to be eligible for this haircut. The Afro occupies most part of the head and fades away downwards. The temple taper fade haircut is also categorized with a cut on the hairline. This taper fade haircut style doesn’t emphasize on beards. 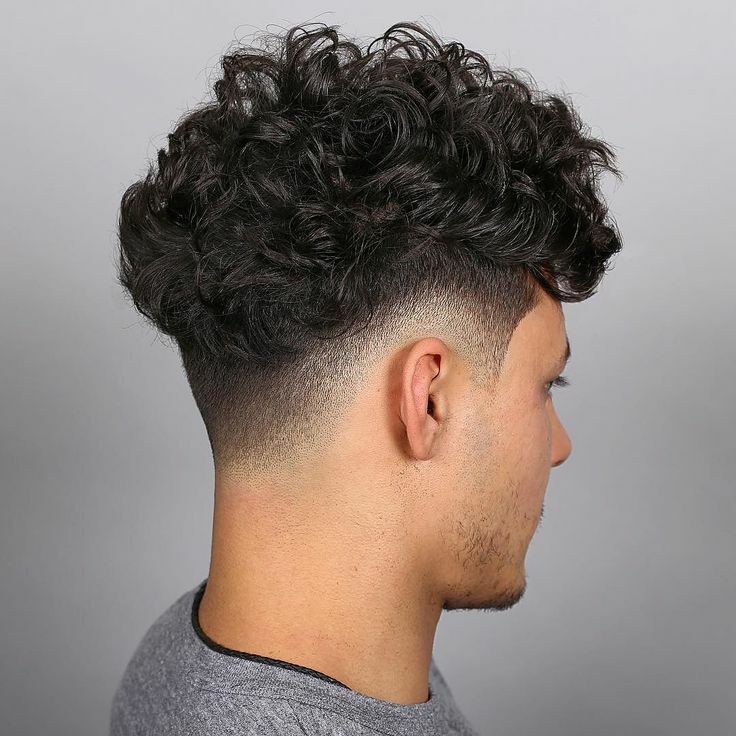 This is a low fade hairstyle with a wave. The pompadour taper fade hairstyle is suitable for anyone with a long soft hair. Soft hair makes it easy to design the wave. This hairstyle slowly fades away on the side and the back. Pompadour taper fade hairstyle is considered both an official and casual haircut. In addition to all these, this haircut encourages people to keep short beards. The brushed up taper fade style is top notch and outshines numerous haircuts. It goes and extra mile to incorporate dye to give out a blond look. This haircut states that a person’s middle head hair must be brushed up before any trimming commences. Afterwards, there will be an even fading trimming downwards that connects with the beards. These are some of the reasons why the brushed up taper fade haircut is worth checking out. Are you a fan of blow out hair styles? If yes, you should glimpse at the Ivy League taper fade haircut. Anyone planning to acquire this cut must have a middle hair length. This makes it easy to comb the hair sideways after blow out. This hairstyle also insists that the fading layer that follows must be equate the size of the beards. Fringe hair is considered beautiful by some people. As a result, they hate hair cuts on the edge of the hairline. Well, the taper fade crew cut is one of the few hairstyles which allow people to maintain their fringe hair throughout. This low fade away haircut fades away sideways, depending on a person’s preference. Lastly, this hairstyle can be used in official events. Finding a haircut that flows from the head to the beard is a bit strenuous, isn’t it? The spiky taper fade cut is one of these hairstyles. The middle hair looks a bit shaggy across the middle part of the head. Thereafter, the fading pattern follows and spreads downwards in a descending order to the beards. The beard must be properly conjoined with the fading hair to give it an outstanding look. This is considered a hard to achieve hairstyle. It can only be handled by an experienced barber. It is considered a complicated hairstyle as it comprises brushed up hair comprising a cut on the left side of the head. The hair flows continues before fading begins. That’s not all; the fading process continues until it reaches the beards. There is no doubt this is a top notch hairstyle worth checking out. As the name suggests, this hairstyle focuses on rolling the hair backwards. The middle part of the head should have at least middle sized hair. The fading process occurs both backwards and sideways. However, the fading process mostly occurs backwards. Beard is essential when trying to adopt this hairstyle. The slicked back taper fade haircut attracts a lot of debate and comments on social media. It is definitely a hairstyle worth checking out and eventually trying out. These are some of the top taper fade haircuts worth checking out. The above hairstyles attract a lot of following across the globe. Simply go through these haircuts and pinpoint the ones that amuse you. Afterwards, choose the haircut that you quality and present it to your barber. Take your haircut seriously as it influences how people view you.